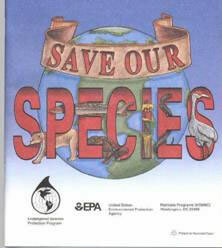 Get a free endangered species coloring book when you fill out the request form. You can either choose to download the book or you can request a physical copy be sent to your home. To get your copy, click on the ‘Get a Copy’ button just above the coloring book on the page that loads. Then, you’ll be able to choose if you want a digital copy to download or to have a copy sent to your home or place of work by mail. I can’t wait to get my book!